Home / china / Woody was elected vice chairman of the Asian Boxing Federation and promoted Asian boxing development. Woody was elected vice chairman of the Asian Boxing Federation and promoted Asian boxing development. 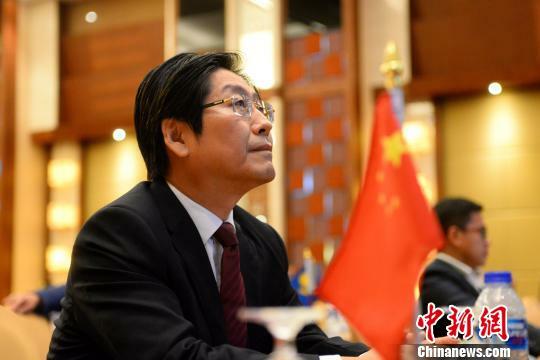 Chinanews.com, Xiamen, Xiamen, and Asian Federation Federation (ASBC) have elected Fuxin Group, a new vice president and managing director, at the Xiamen meeting in Bangkok on Thursday. Wu Di, chairman and president, was elected in the first round of voting and became the new vice-chairman of the Asian Boxing Federation. The Fuxin Group said Wu Di will promote Asian boxing in various aspects of the campaign, such as "Bo Meng Sports" helping Asian boxing, such as competition, player training, infrastructure construction, and popularizing youth boxing. In line with international boxing, the world is paying attention to the development of Asian boxing. Wu Di has served as a director of the People's Bank of China, an associate professor of economics at the People's University of China, a vice-president of the Fujian Provincial People's Congress, former vice-president of the International Boxing Federation, and vice chairman of the China Boxing Association. In November 2018, he became a member of the International Boxing Federation Executive Committee at the International Boxing Federation Congress in Moscow, Russia. Since 2014, he has been promoting boxing sports in China and hosted more than 50 events in China including APB, WSB, China Open, China Boxing Championships and "Belt and Road" China-ASEAN Champions. Major boxing events including 27 international brand events and 23 Chinese brand events. At the same time, Datang Real Estate, a subsidiary of the Fuxin Group, has supported the event as a global strategic partner and has made a significant contribution to China's popularization and development of boxing.